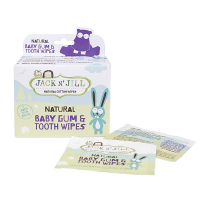 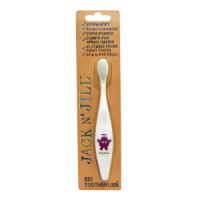 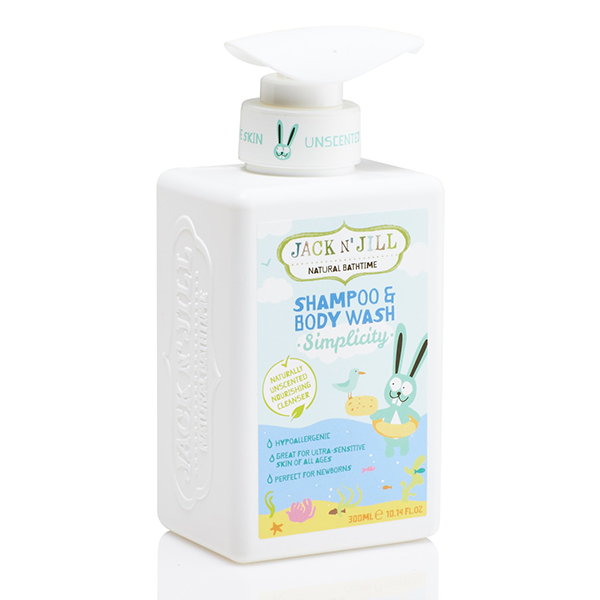 Jack N' Jill Natural Bathtime Range encompasses the natural beauty & life of Australia in a bottle of goodness. 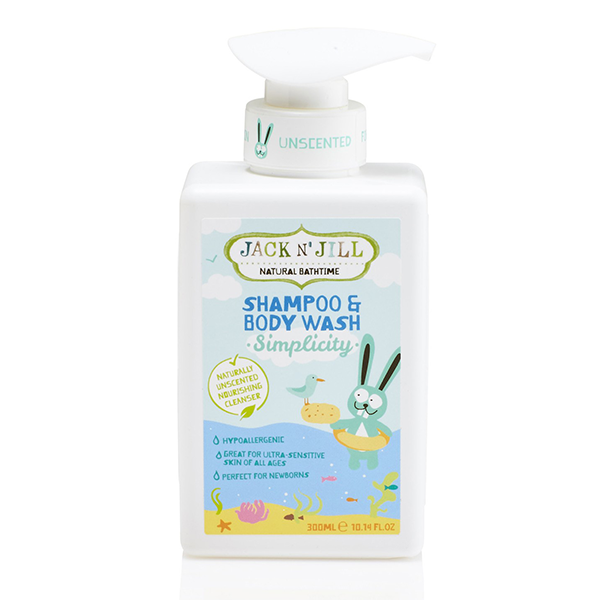 Using native extracts and organic oils to beautifully clean and nourish, Simplicity Shampoo and Body Wash is naturally unscented, hypoallergenic and great for ultra-sensitive skin of all ages. 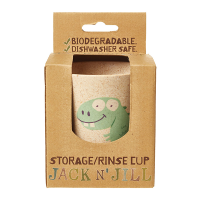 This range is suitable for newborns and natural bath time fun. 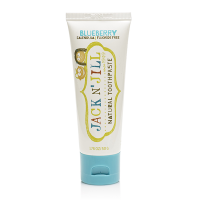 Free from: parabens, sulfates, palm oil, synthetic fragrances and colour.